Alteration in voice quality occurs when there are abnormalities affecting the vibratory margins of the vocal folds, obstructive mass between it, and disturbance of intrinsic laryngeal muscles, nerves, and joints leading to incoordination or abnormal movements of the vocal folds. The quality of voice produced can be raspy, harsh, rough, gravelly, strained, or breathy depending on pathology involved. Other symptoms include reduced pitch range, neck tightness, discomfort around the Adam’s apple prominence, choking sensation, an increased effort to talk, and vocal fatigue. Since voice is important is communication, it does affects the quality of life and causes verbal handicap to those affected. It is particularly so in professional voice users like singers, actors, lawyers, and teachers as dysphonia and suboptimal voice may affect their work performance with potential loss of incomes. 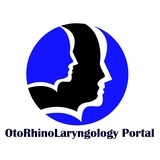 Persistent or worsening hoarse voice as a sole presenting symptom longer than three weeks warrants a referral to otolaryngologist for further evaluation to ensure right diagnosis made and treated accordingly. In addition, if voice change is accompanied by other associated symptoms even earlier referral is justified.